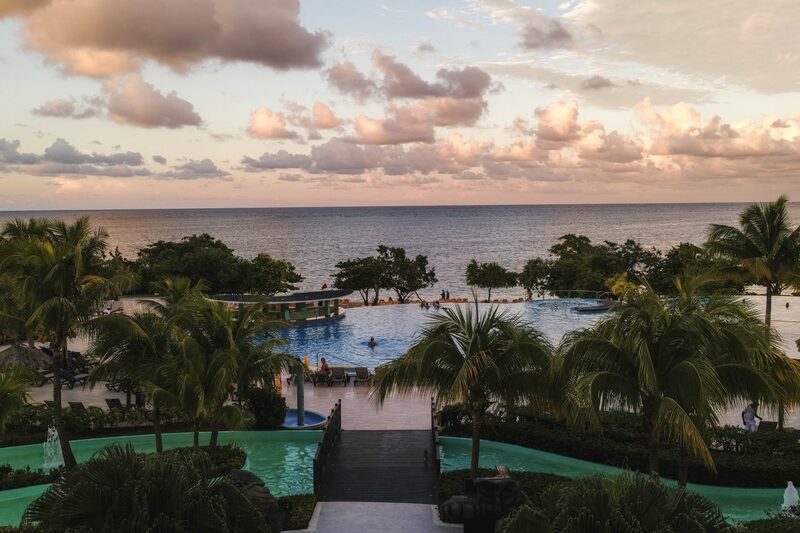 Last November, I crossed off my bucket list visiting the Caribbean island nation of Jamaica. I’ve heard nothing but great things about Jamaica and I definitely wasn’t disappointed. 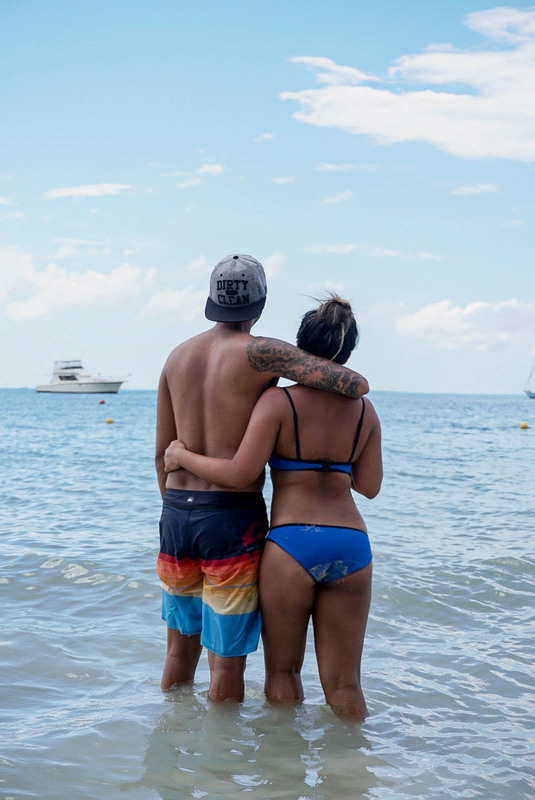 We (my boyfriend and I) were invited by friend who was having a destination wedding and when we found out it was happening in Jamaica we couldn’t turn down the invite. We travelled from November 5 – 12 and, I must say, it was a great week to get away as Toronto was getting colder and just transitioning into winter. 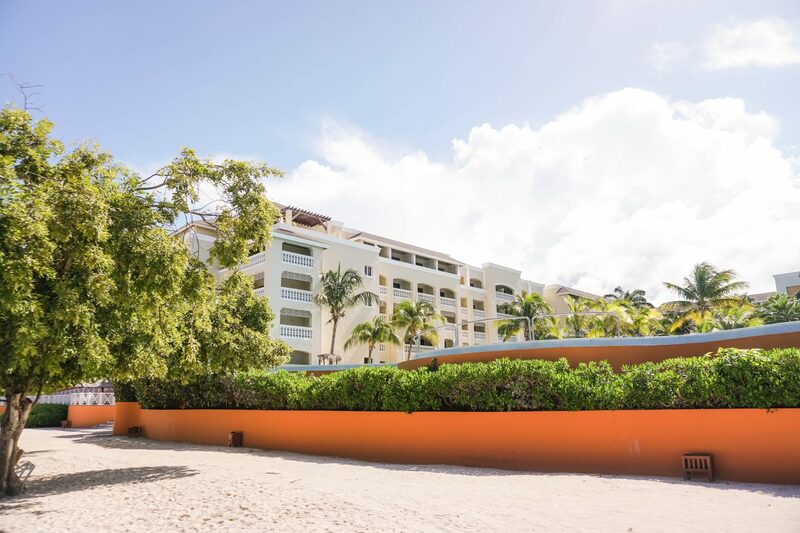 We flew with Sunwing and it was a great experience – easy and quick check-in process, the flight was direct and the aircraft wasn’t delayed so can’t complain! 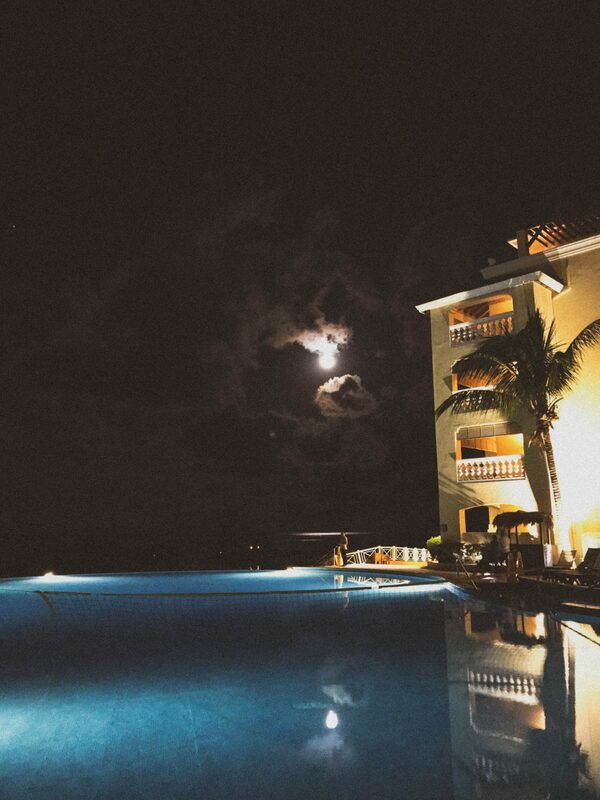 We called the Iberostar Rose Hall Beach our home for the week and would recommend this resort to anyone! It’s an all inclusive, 5-star rated resort. The rooms were clean, the entertainment staff was great and the food was delicious. This resort had 3 specialty restaurants (Steakhouse, French and African and Japanese) and 1 buffet. 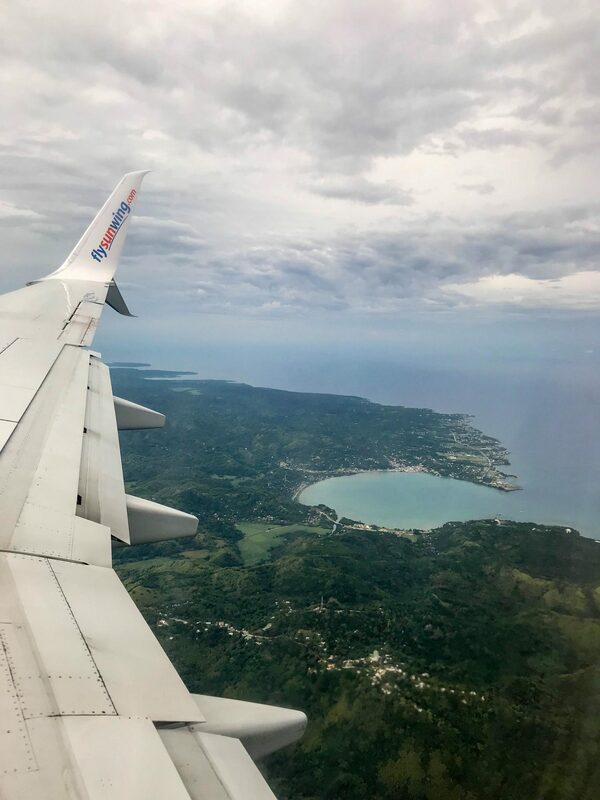 Landed in Montego Bay, Jamaica and I can remember that it was such a relief stepping into the shining sun and humid temperatures (I love Canada but our winters are brutal). Even though it was 10 a.m. we, of course, had to get a beer because we’re on vacation! Duh! 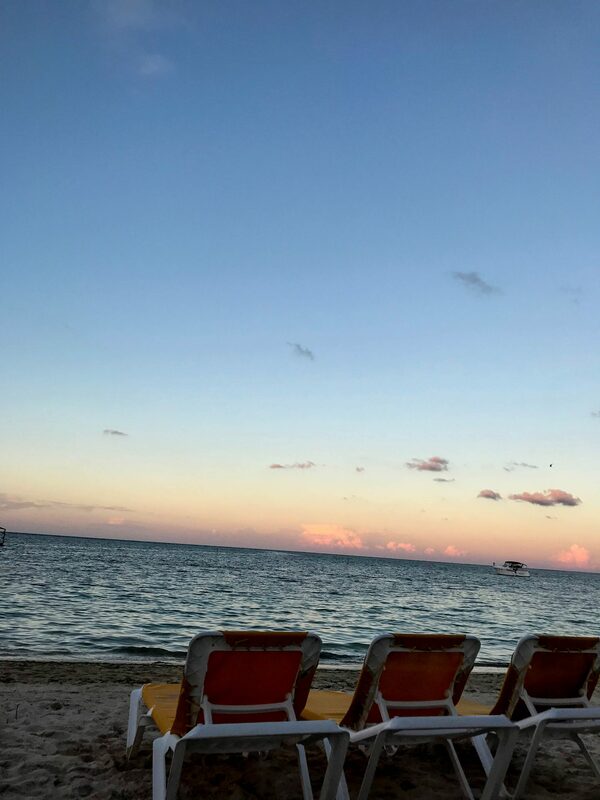 We then hopped on into our bus, which was all arranged by Sunwing (this was amazing because the last thing you want to do as soon as you land is scatter around looking for transportation to your resort) and we headed for the Iberostar Rose Hall Beach Resort. When we arrived at the resort around 11 a.m. and checked-in with the front desk but we were advised that check-in is usually not until 3 p.m. but they would do their best to get us in a room earlier. This wasn’t an issue for us as we could leave our luggage at reception and could go for lunch and meet our friends while we wait for our room. For the rest of the day, we hung out at the beach and explored the resort grounds. A group of us went to visit the Bob Marley museum, which was about a 2.5 hour car ride from our resort. 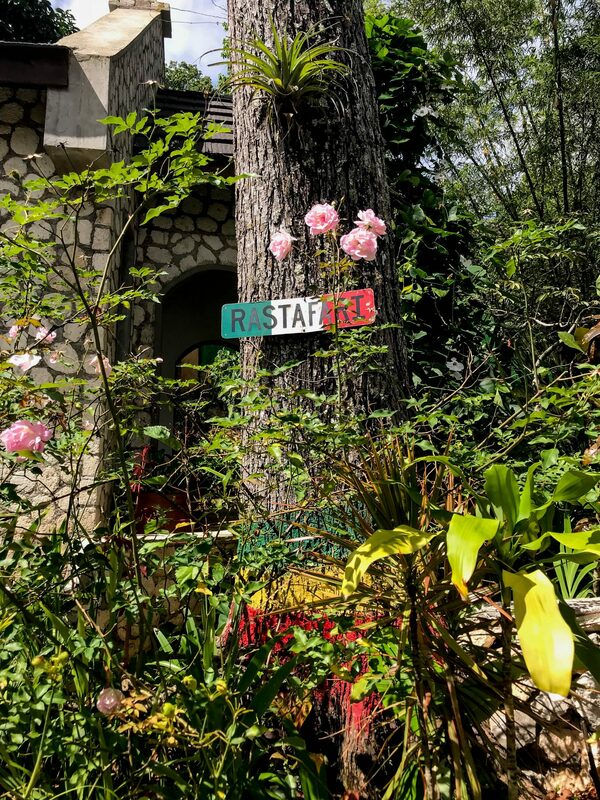 We did a tour of the house where Bob Marley grew up, his thinking rock and the mausoleum where he was buried. It was a really cool experience! Our next stop was Scotchies! Everyone recommended grabbing food at this establishment, so we definitely need to try it and we weren’t disappointment. 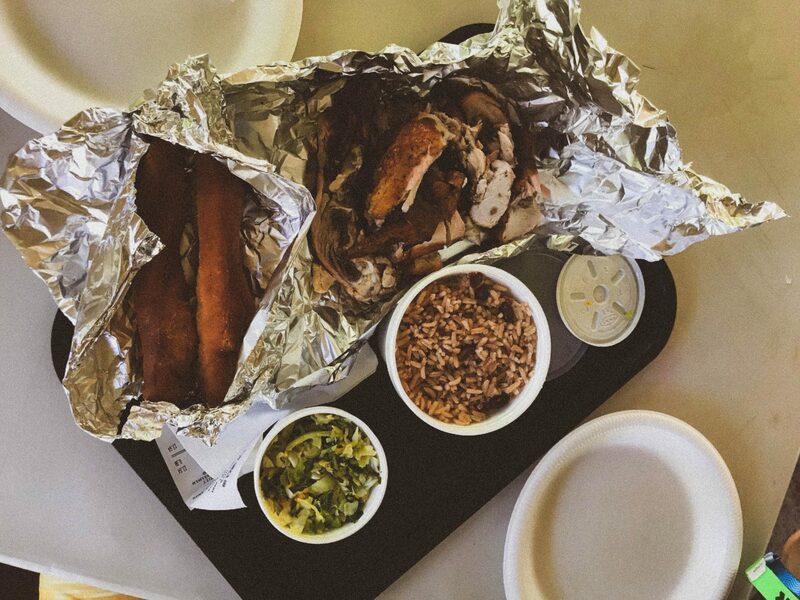 The jerk chicken, rice and peas and festival was amazing! Just thinking about it now is making me hungry. The last stop of the day was Dunn’s River Falls (another must when visiting Jamaica). It was really fun trekking up the falls, the only thing I wasn’t too fond of was that we needed to make a long human chain by holding hands. Today was the big day! We witnessed two beautiful people tie the knot. It was a beautiful ceremony right on the beach and the reception took place on a terrace which overlooked the ocean. 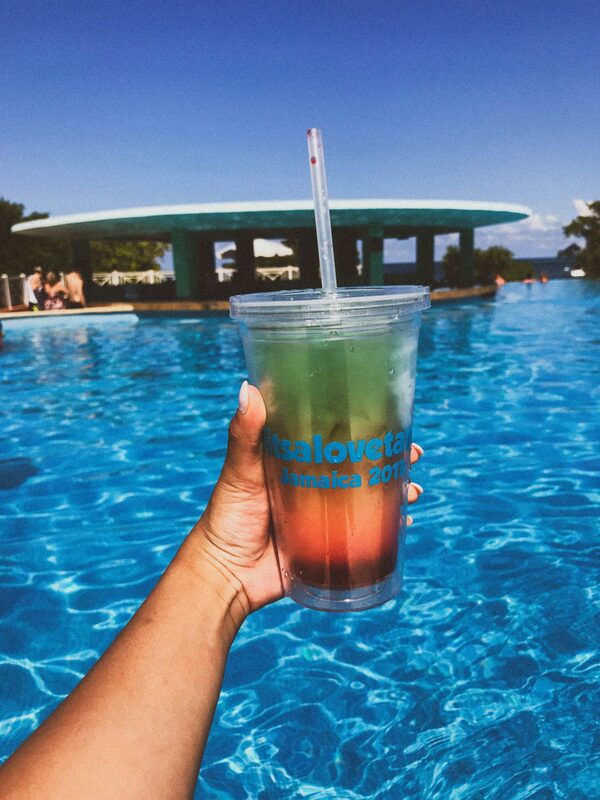 Both days were pretty much resort days where we relaxed on the beach and by the pool. 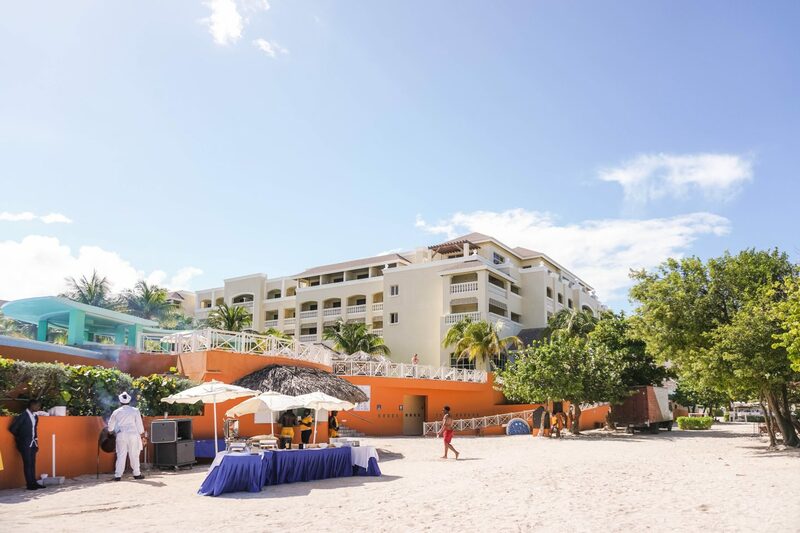 Also, we participated in some of the resorts activities such as a jerk chicken cooking demo, water aerobics, bingo and dance lessons. Safe to say that the Ibersostar entertainment team kept everyone entertained and engaged. 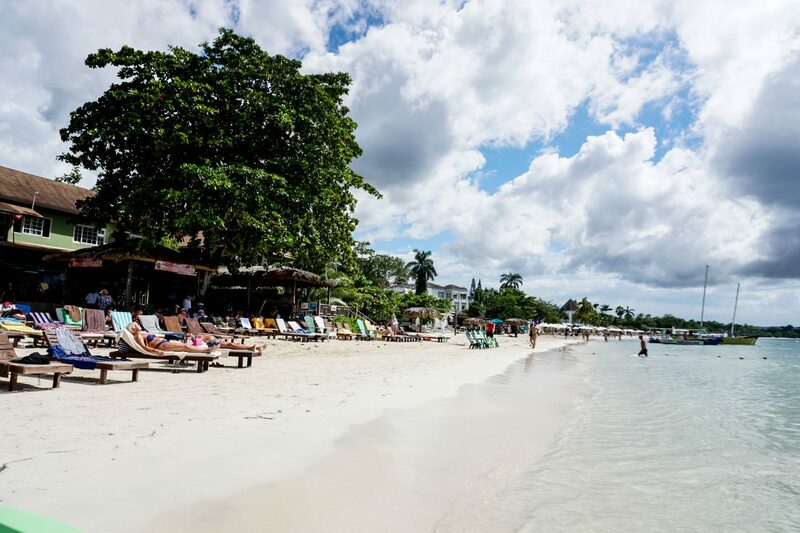 I really wanted to see Negril, I heard the beaches were amazing with white sand and crystal blue waters. 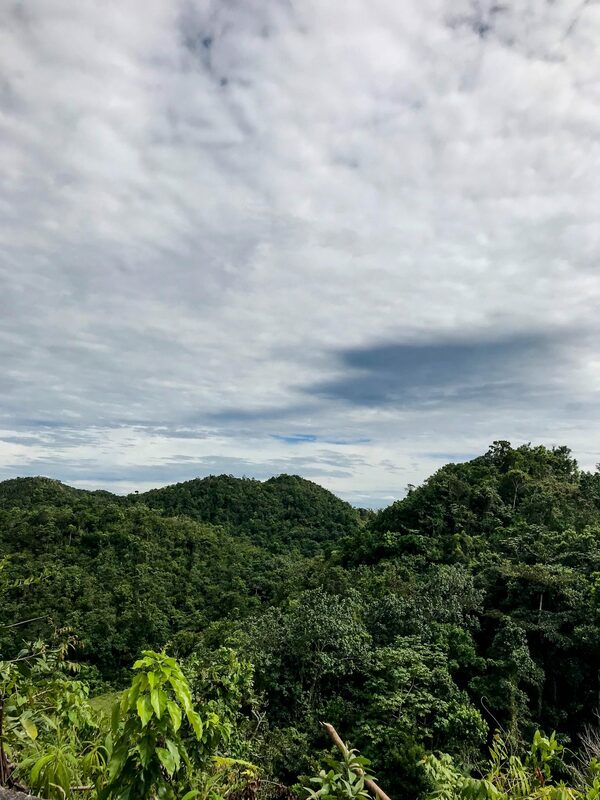 For this excursion we booked a day outing with Sunwing where we spend a couple of hours on a beach in Negril and then head to Rick’s Café to cliff jump and watch the sunset. So….I did the cliff jump at Rick’s Café and injured myself (lol). This wasn’t the first time I cliff jumped, so I knew how you’re suppose to keep your body as you approach the water. You need to essentially be a pencil so your body eases into the water. BUT for some reason my feet lifted ever-so-slightly as I landed in the water and bruised my tailbone. Although it was painful, it was worth it! 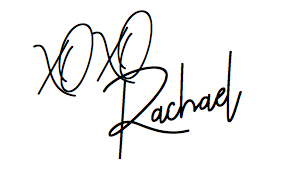 (Also another activity I can cross off my bucket list). We had a mid-afternoon flight, so we enjoyed a couple of hours in the morning to have a last breakfast at the buffet and take one last look at the beautiful resort before heading back to Toronto. Too bad I didn’t start this blog when I went to Jamaica or else I would’ve taken better photos. So, apologies for the raw photos but it definitely doesn’t take away from the beautiful essence of the lush country. 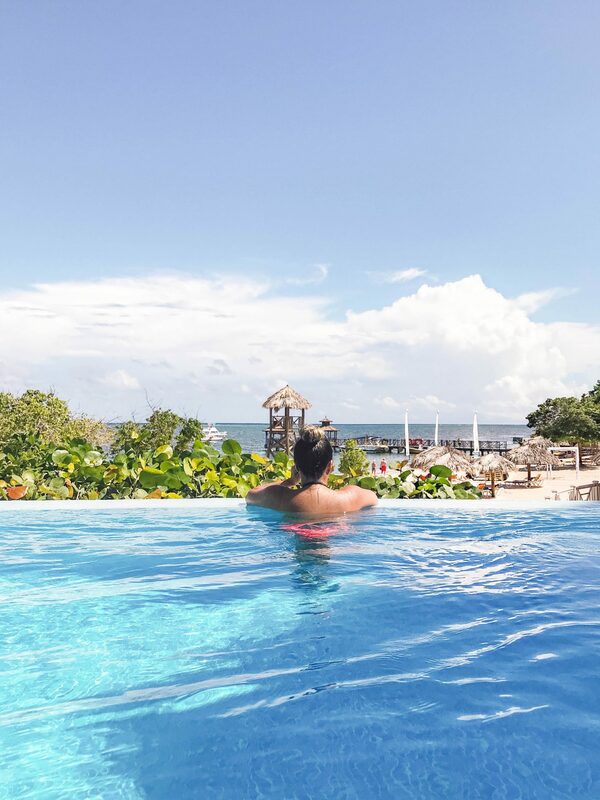 Indeed, as one of the most beautiful countries in the Caribbean, holidaying at Jamaica is one of the most captivating Caribbean experiences to be had. However, Jamaica also has one of the highest murder rates in the world.